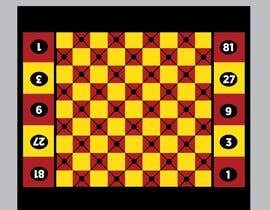 I need to have a 9x9 game board designed. PLEASE READ REQUIREMENTS. The colors on the board should be Mustard Yellow and Red. 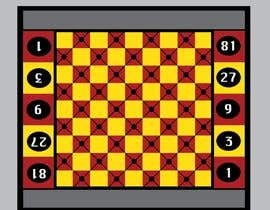 The board size is 9x9, and on each side of the board, they should have the numbers 1,3,9,27, and 81 on each side. Those could be designed to look unique as they will be the scores. Feel free to make the squares look unique clean and attractive without too much being added. Let me know if you have questions. Reference the picture attached for the numbers on the side.